At the family cabin up north, I am in charge of keeping track of maintenance. Rooms need to be painted. Roofs repaired. The dock strengthened from crush of winter ice. Paths cleared from downed trees. Floors varnished. In such a northern climate, maintenance is constant. Whether we talk about maintenance for cabins or our homes, we often forget that maintenance is also required for our Christian faith and life. Let’s call it reshaping habits of the heart. Maintenance is for physical stuff and habits of the heart enrich a faith life. When we starve our prayer life – what happens to our inner life with God? If we skip reading the Bible – where is our faith nurtured? If we have a lack luster record of Sunday morning worship – what happens to our community life with other Christians? 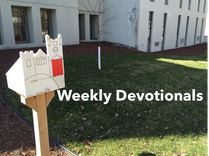 If we don’t help our neighbor – what happens to the presence of Christ? I am not bawling you out or myself. Also, I am not calling up guilt to roam the inner landscapes of our lives. What I’m saying is common habits of the heart such as prayer, reading the Bible, worship attendance and helping neighbor require continual practice. Anytime is a good time reshaping these habits of the heart.